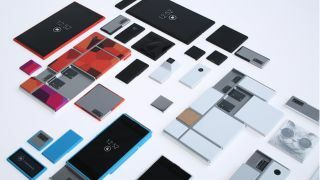 Google's DIY device "does a Jenga"
Update: It's official - Google has suspended its Project Ara modular smartphone plans, putting an end to its ambitions of bringing a DIY handset to market. Looking for a Project Ara-lite phone? Check out the LG G5.